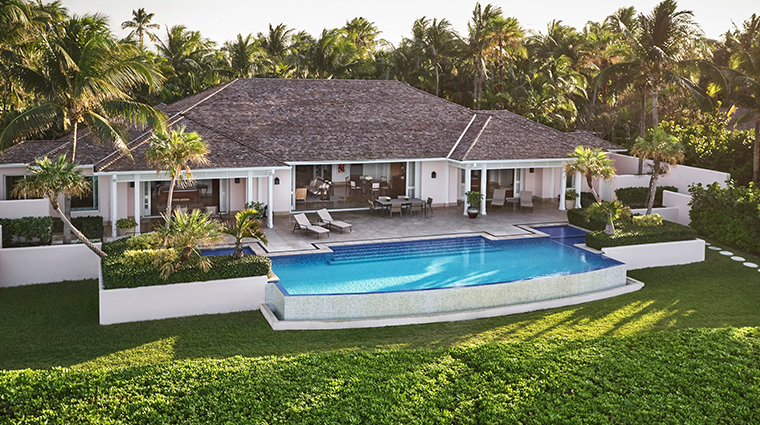 Treat your crew to a sun-drenched island getaway with The Ocean Club, A Four Seasons Resort, Bahamas’ Family Escape — Credit and Picnic package. In addition to gorgeous sea-view accommodations, you’ll enjoy daily breakfast for your brood, a $300 resort credit to spend on poolside snacks and cocktails (or whatever else you choose), a family picnic in the resort’s garden and three hours of babysitting for some well-deserved alone time. 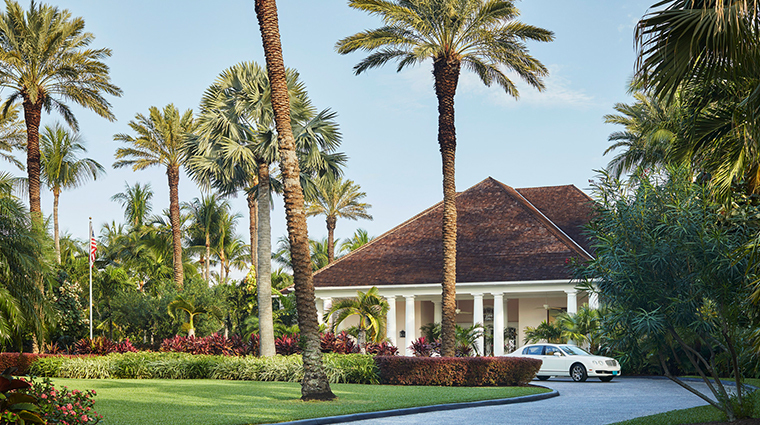 Not only is The Ocean Club, A Four Seasons Resort, Bahamas a vacation hideaway for the stars, it’s also the kind of place where they go for work. When Casino Royale director Martin Campbell needed an ultra-lush backdrop for the 21st installment in the James Bond movie franchise, guess where he and actor Daniel Craig went? Some eight years later, when the ABC political drama Scandal wanted an island paradise to serve as an escape from Capitol Hill, have a clue as to where it sent actress Kerry Washington? But for every A-lister and camera crew prancing about the breezy former private estate, there’s also a fitted-cap-wearing Mark Wahlberg walking about the premises in relative obscurity. It’s obviously a fitting place for celebrities, but it’s one folks without a Hollywood agent will feel at home in as well. Like other parts of the Bahamas, though, The Ocean Club was battered by Hurricane Matthew back in October 2016. Thankfully, the resilient resort came back stronger than ever in February 2017 with re-envisioned rooms, a new Martini Bar and a redesigned signature restaurant, Dune. 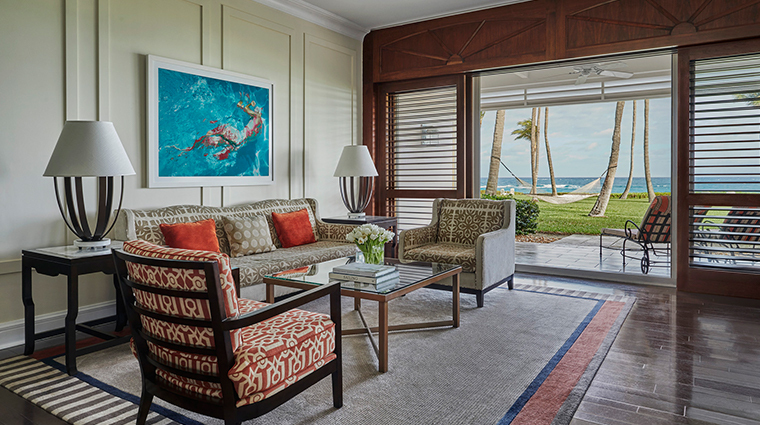 From 1,100-square-foot suites oozing in waterfront luxury to elegant dining options and spa services with treatments from around the globe, The Ocean Club rolls out the red carpet — okay, so it’s more like a tropical rose pink — for every guest. Personal butlers and champagne deliveries might give the property a buttoned-up feel, but underneath those starched polo shirts is a resort just itching to show its artistic and culinary side. Kids won’t much care about the colorful acrylics, but they will certainly like the family-friendly pool just next to the tennis courts. Nassau may be more than 11,000 miles from Bali, but a visit to the spa somehow transports you to a secluded spot in Seminyak thanks to graveled pathways in mood-setting outdoor gardens that lead to eight treatment rooms filled with detailed wooden cabinetry, soft natural tones and services from around the globe. 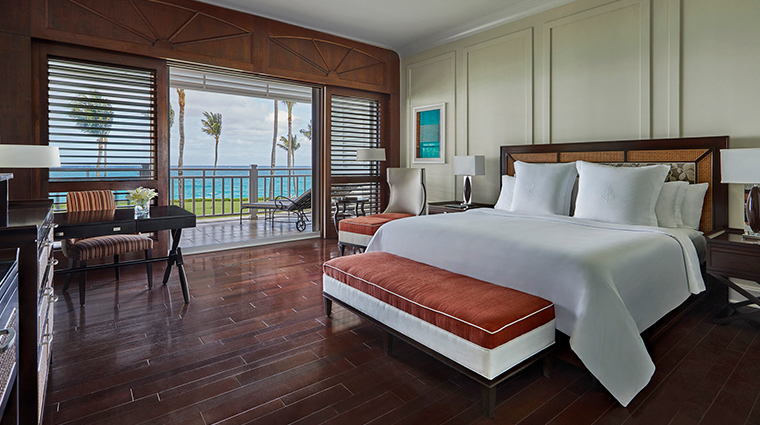 Even with the championship-caliber crosswinds, you won’t have anything but positive feedback to give after you’ve played a round on the Tom Weiskopf-designed Ocean Club Golf Course Bahamas. 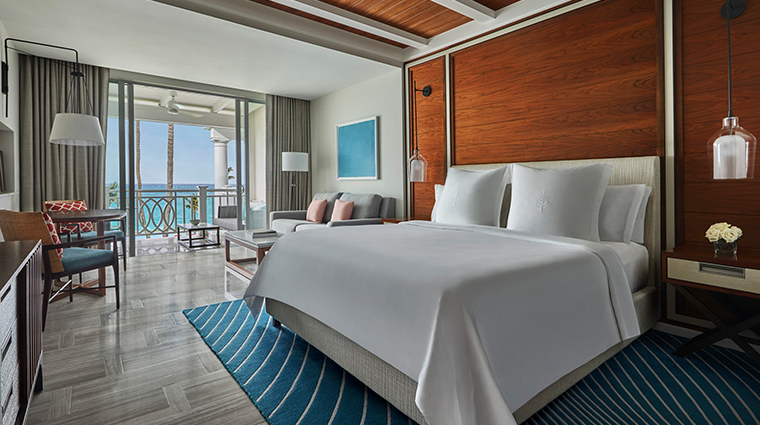 The Ocean Club guests have access to many of nearby Atlantis Paradise Island’s facilities, including the impressive Aquaventure waterpark and 40 restaurants and bars. 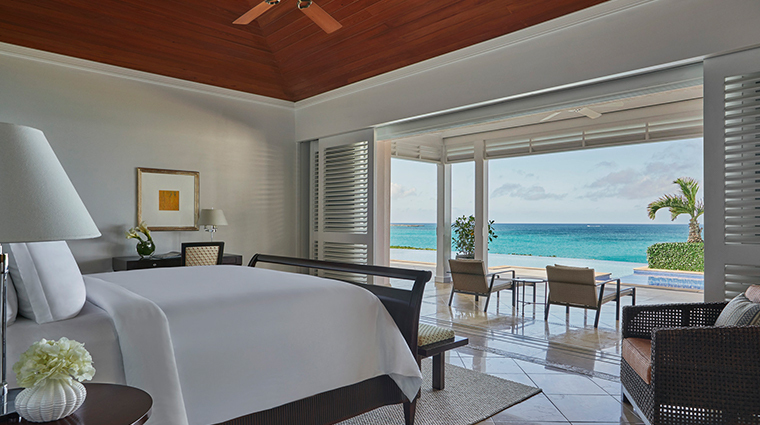 If you’d like your playtime in the azure waters to go beyond a casual swim, snorkeling, yacht rides and deep-sea fishing excursions can all be organized during your stay. 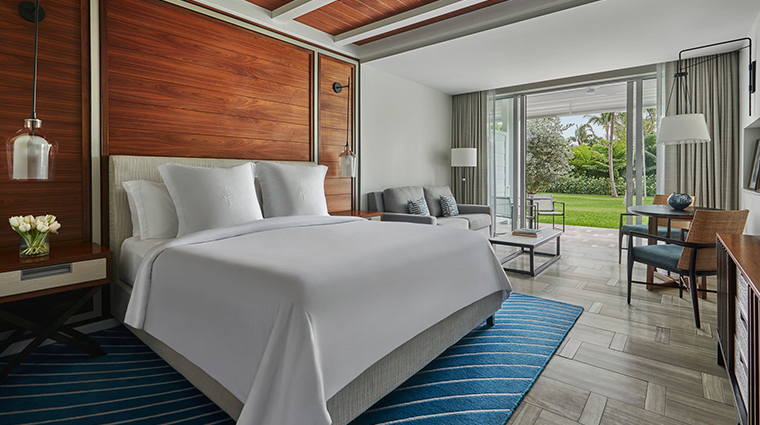 On one side of the 36-acre property is five two-story buildings that make up the Crescent Wing, a collection of rooms that emit an air of contemporary cool through mahogany floors, intricate crown molding and sliding wood doors that open onto a patio or balcony. Bathrooms center around mosaic-tiled Roman tubs. On the other end of the 107-unit resort is the Hartford Wing, a two-story building of rooms, suites and villas. 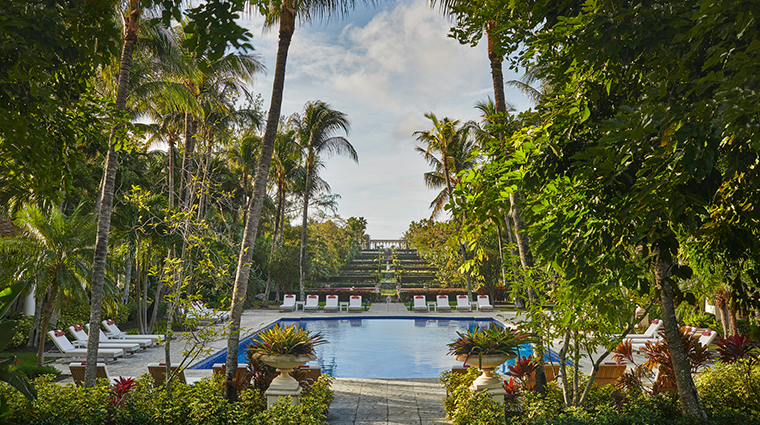 Exuding more of a colonial chicness, this side provides many of the same amenities and similarly stunning looks onto the water — in between the swaying trees and hammocks, of course. 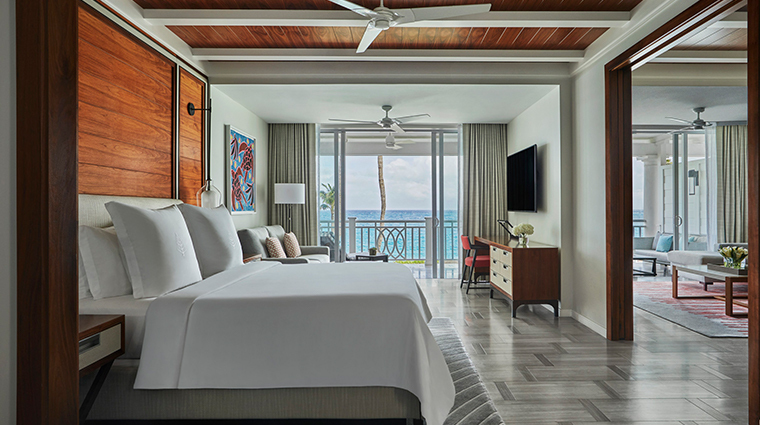 Should you need more space than the 800-plus feet that the garden and ocean-view suites allow, two-bedroom cottages and three- and four-bedroom villas offer the room and refinement (carved furnishings, plunge pool, etc.) to warrant the upgrade. 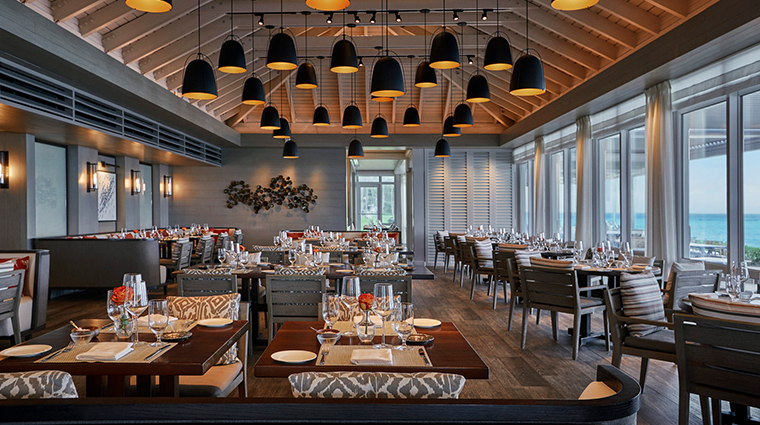 Celebrity toque Jean-Georges Vongerichten’s open-air Dune not only works for guests with hunger pangs (roasted lobster burger, nut-crusted snapper) but also those with a craving for artistic design touches (dove-gray Aingre wood millwork, coral fabrics). Ocean, which overlooks the stunning shoreline, serves up Mexican-inspired dishes done with an island twist (see: seared fish tacos with serrano dip and crispy cracked conch with celeriac rémoulade). The Versailles Terrace is yet another dining option with a view — this time your Bahamian-, Mediterranean- and French-influenced cuisine comes with a heaping side of the pool and lush Versailles Gardens.